Open seven days a week from 10:00 a.m. – 11:00 p.m. 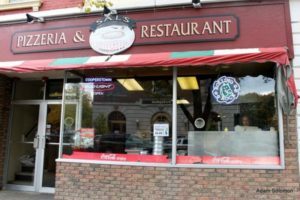 Specializing in New York-style thin crust pizza, calzones, strombolis, lasagna, antipasto, spaghetti, baked ziti, and eggplant parmigiana. 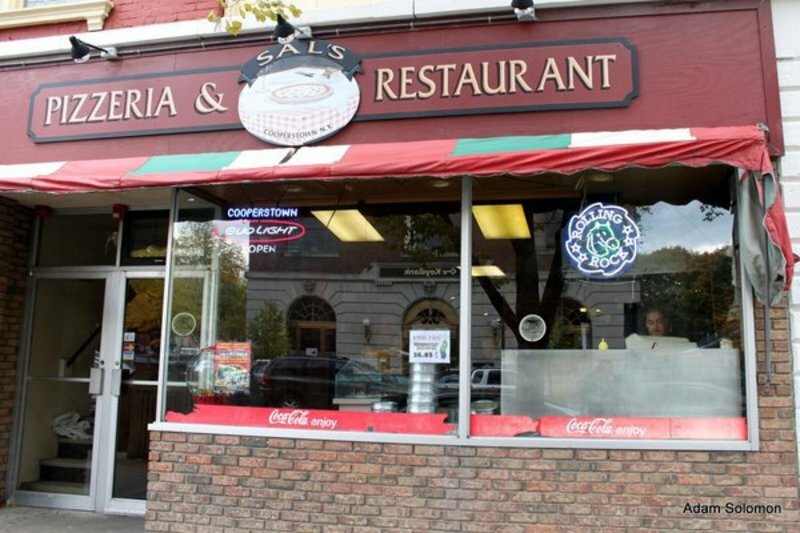 They have 16 delicious varieties of pizza cooked so the customers can get a choice of slices. You can also order a whole pizza.. Spacious dining room with booths and tables. The extravagant deck can accommodate large groups. Very fast paced at the counter, being a “foody”, I enjoyed the exchange between the staff and customers. Offers gluten free whole pizza with additional toppings. We enjoyed a variety of slices and a gluten free pepperoni pizza.